Alaska Native News Mar 6, 2015. A Nikiski man was arrested on outstanding warrants for Burglary and Theft on Monday after troopers were alerted of a camper being towed on Holt-Lamplight Road was falling apart and leaving debris on the roadway. 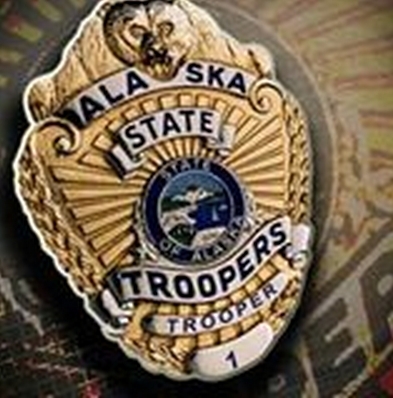 It was on Monday afternoon that troopers received a REDDI report of the debris-strewing camper on Holt-Lamplight Road in Kenai. Troopers responded to the scene and located the camper that was being towed by another vehicle. When they contacted the driver, troopers say that the operator gave them a false name and date of birth. Troopers were able to identify the man as 45-year-old Christopher McCoy of Nikiski however, and a further check of McCoy’s background would find two warrants for his arrest on charges of Burglary I and Theft II. “When the Trooper attempted to arrest McCoy, McCoy fought with the Trooper,” the trooper dispatch reports. But, after that brief scuffle, McCoy was successfully taken into custody and transported to the Wildwood Pretrial Facility on further charges of Resisting Arrest and False Information. Once remanded, McCoy was held without bail.